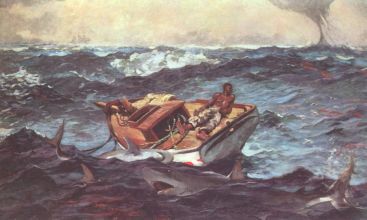 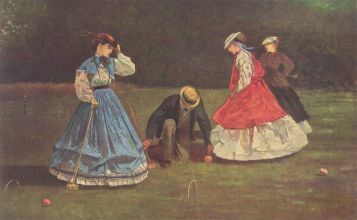 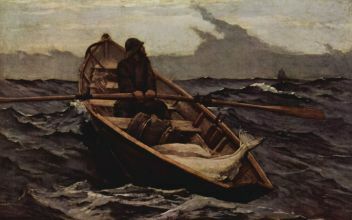 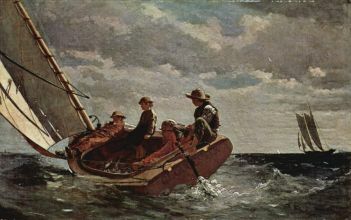 Winslow Homer (February 24, 1836 – September 29, 1910) was an American landscape painter and printmaker, most famous for his marine subjects. 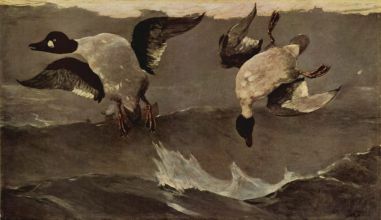 Largely self-taught, he is considered one of the foremost painters in 19th century America, and a preeminent figure in American art. 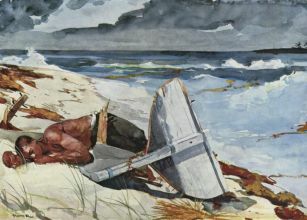 Beginning his career working as a commercial illustrator, Homer subsequently took up oil painting, producing major works in the studio characterized by the weight and density he exploited from the medium, and watercolor, with which he created a fluid and prolific oeuvre primarily chronicling his working vacations.